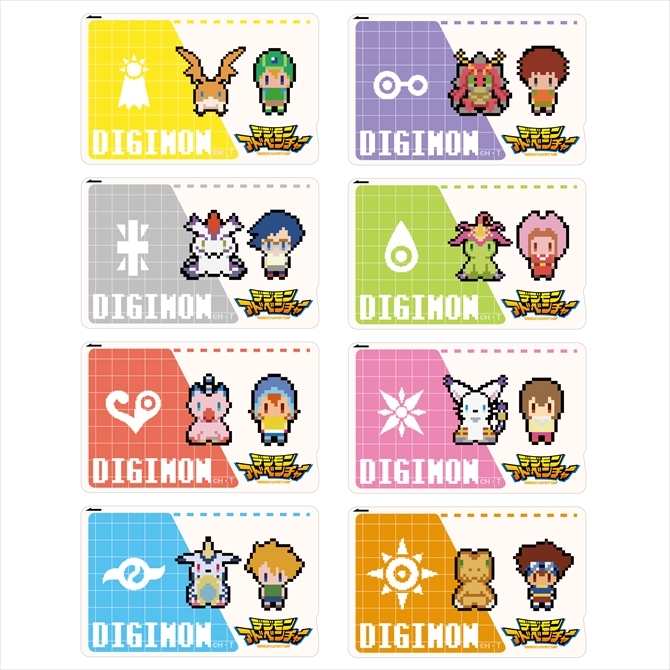 After a teaser earlier today, we have the details of more Village Vanguard Digimon Adventure 20th Anniversary products! The products feature sprite artwork, as shown on the collaboration banner above, which features the name Village Vanguard in the style of the Adventure logo, along with the 20th logo. This second wave of products was teased in the initial announcement a month ago. These IC Card stickers are 400 yen each. There are 8 of them, and they are blindpacked. 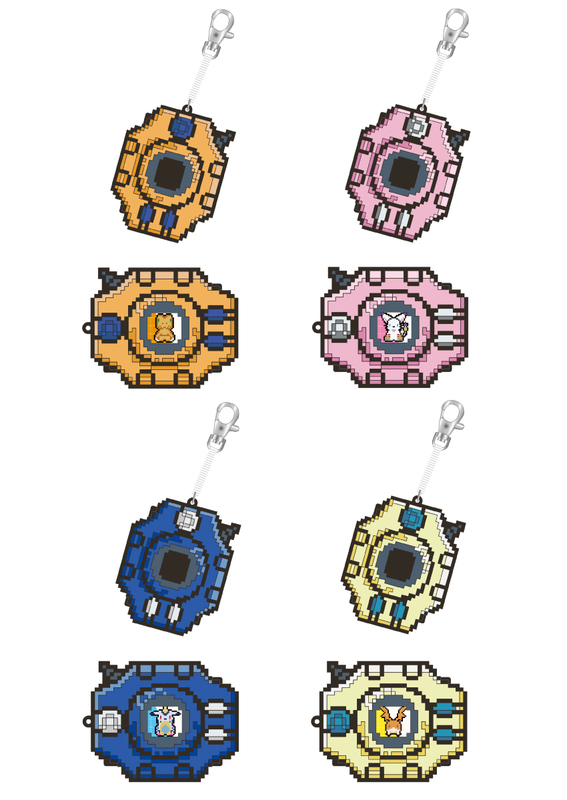 These rubber Digivice pass cases come in 4 different styles for 1,500 yen each. The IC card stickers are shown in some of the images and can be added to them, but are not included. Acrylic straps! There are 8 of these and they are 1,000 yen each. Shirts! 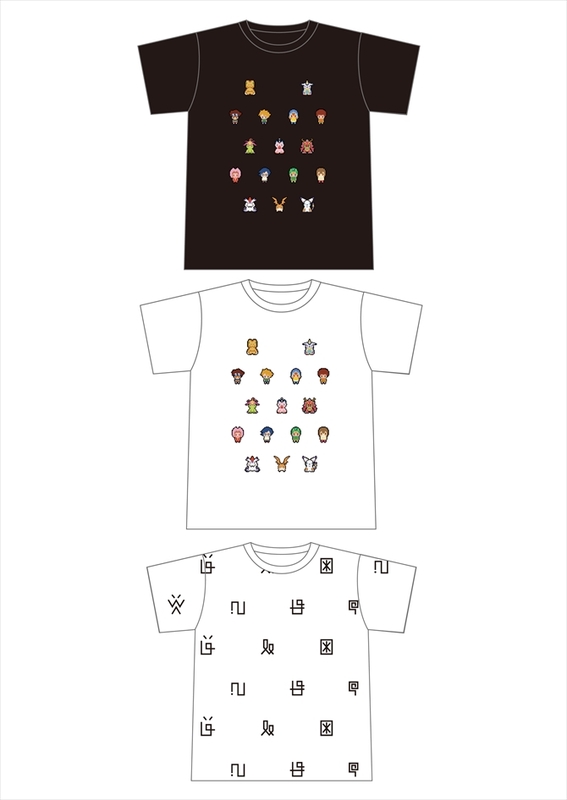 2 of the shirts feature the sprite art, while a third features digimoji. Each of these is 3,800 yen and only available in large. 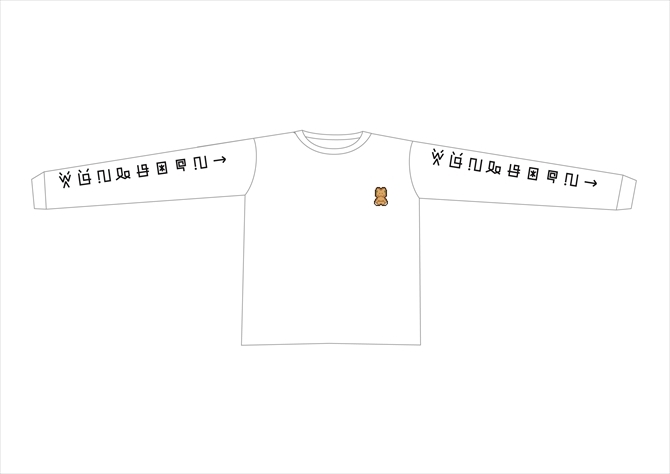 This long sleeve shirt features digimoji on the sleeve and Agumon on the chest. It's 3,800 yen and only available in large. 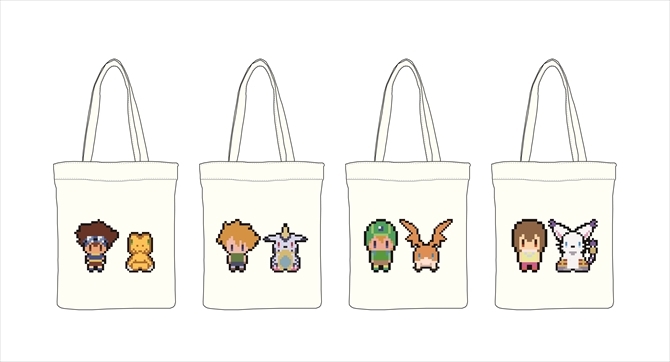 These tote bags come in 4 styles and cost 2,900 yen each. 4 hats! 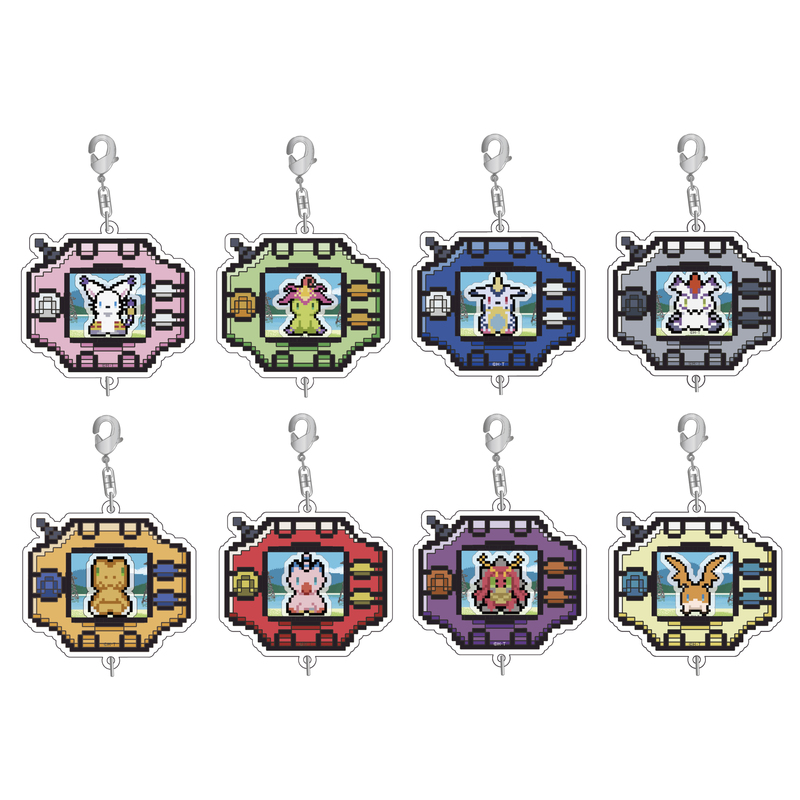 These each have a different color, Digimon on the front, and the Digimon's name on the back. Each is 2,500 yen. Then in the middle of May two more products will show up! 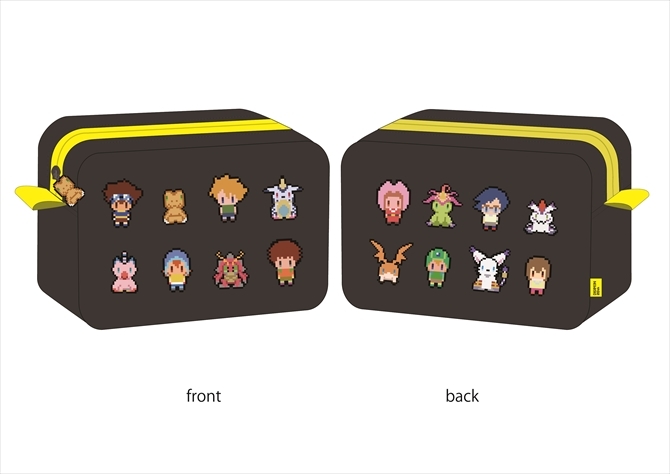 A pouch bag with characters on the front and back for 1,980 yen. 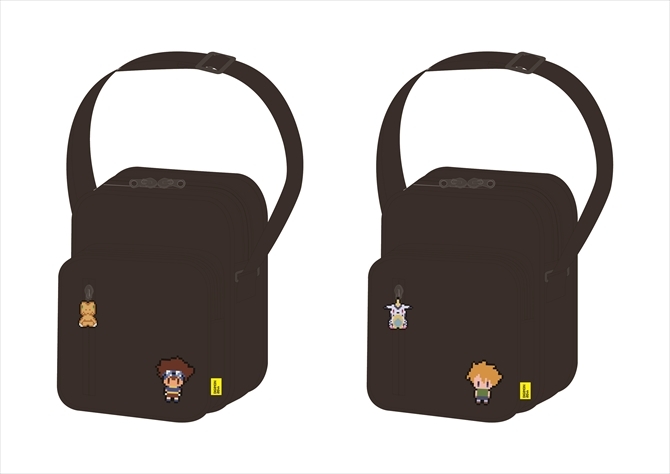 2 different shoulder bags for 2,800 yen each, themed after Taichi and Agumon, and Yamato and Gabumon. Village Vanguard and Toei don't list an end date for the exclusive products, and with more stuff showing up thru the middle of May, it seems the stuff will be sold for at least awhile. 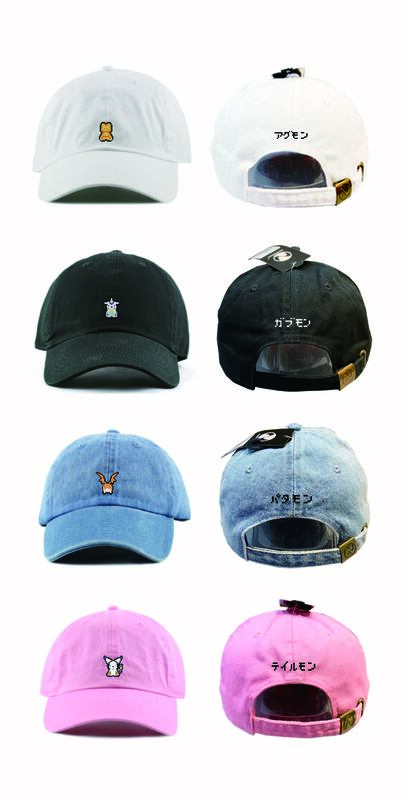 Details about the first wave of products can be found here.